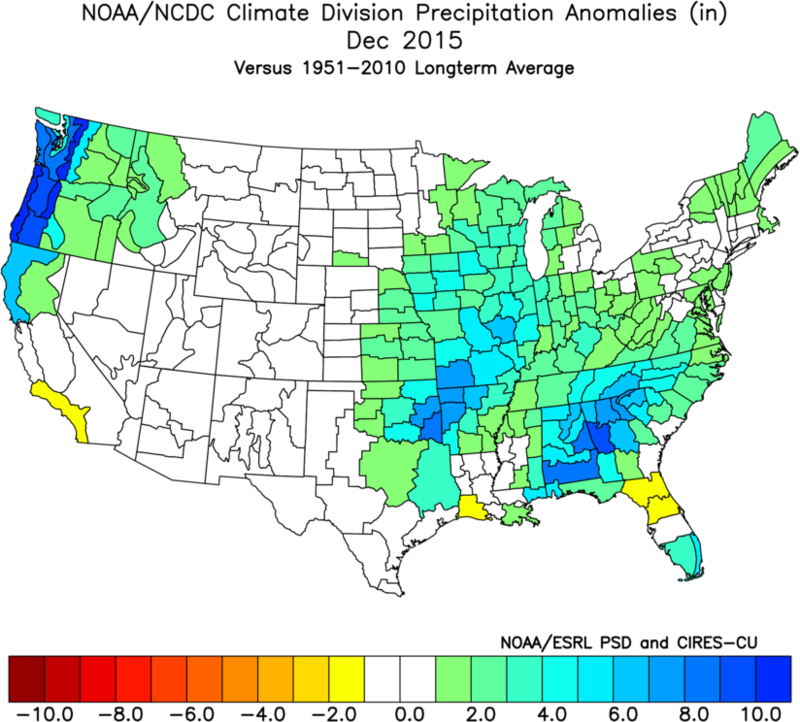 Comparison of last year's NOAA Climate Prediction Center (CPC) 30-day and 90-day precipitation and temperature forecasts for the winter period of December-February (DJF) 2015-2016 with the actual observed conditons. 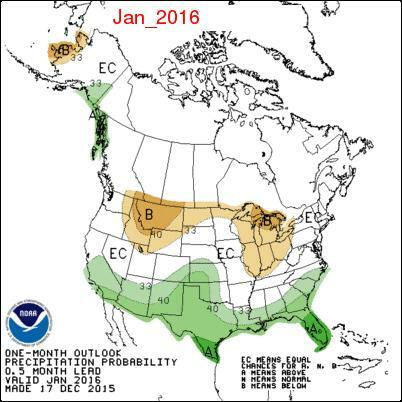 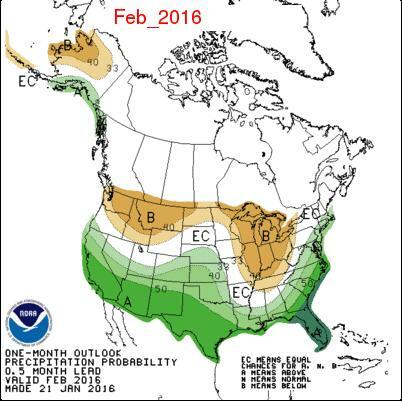 Winter Precipitation: The CPC Winter Precipitation Outlook DJF 2015-16 did poorly at capturing the record precipitation in the Pacific Northwest and the negative precipitation anomalies for the southern half of California. 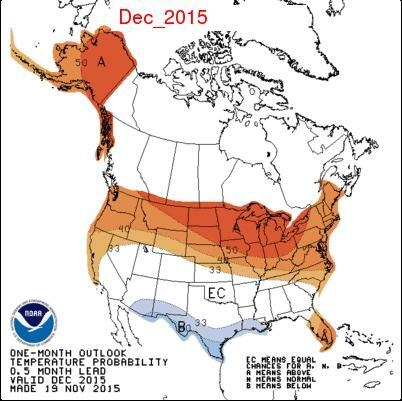 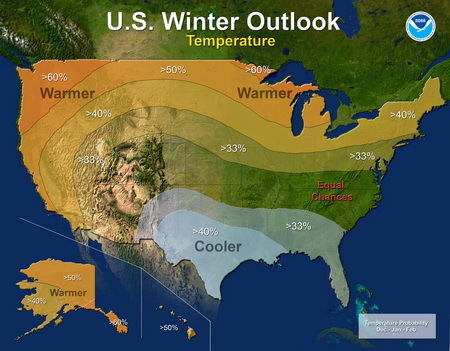 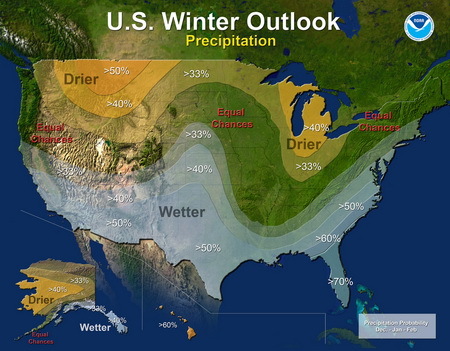 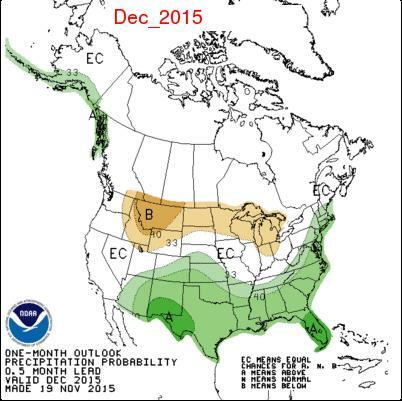 Likewise, the Great lakes and Midwest were out of phase with the forecast. 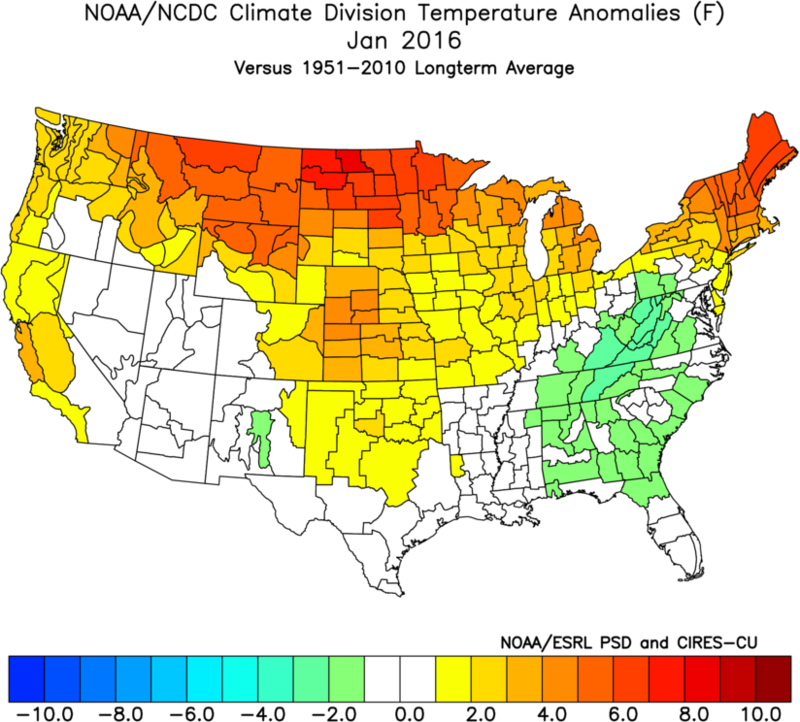 It did capture the positive anomalies across the Southeats and Atlantic Seaboard. 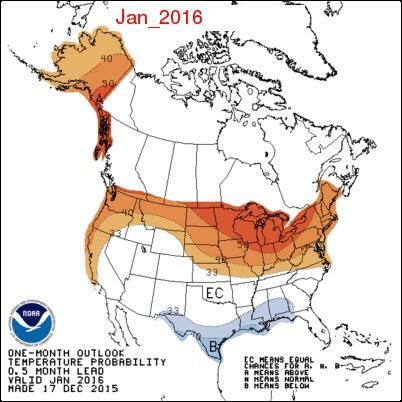 Winter Temperature: The CPC Winter Temperature Outlook was out of phase with the below normal temperatures from Texas across teh Gulf Coast, but pretty much hit everywhere else that was above normal. 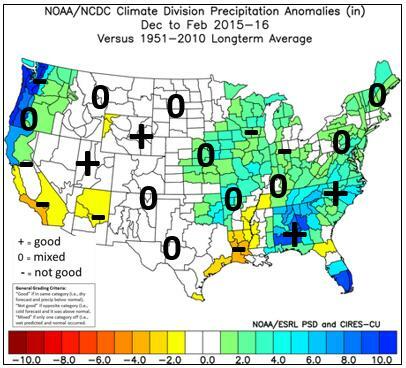 Monthly Precipitation and Temperature Analyses: Forecast and observed conditons are graphically also depicted below. 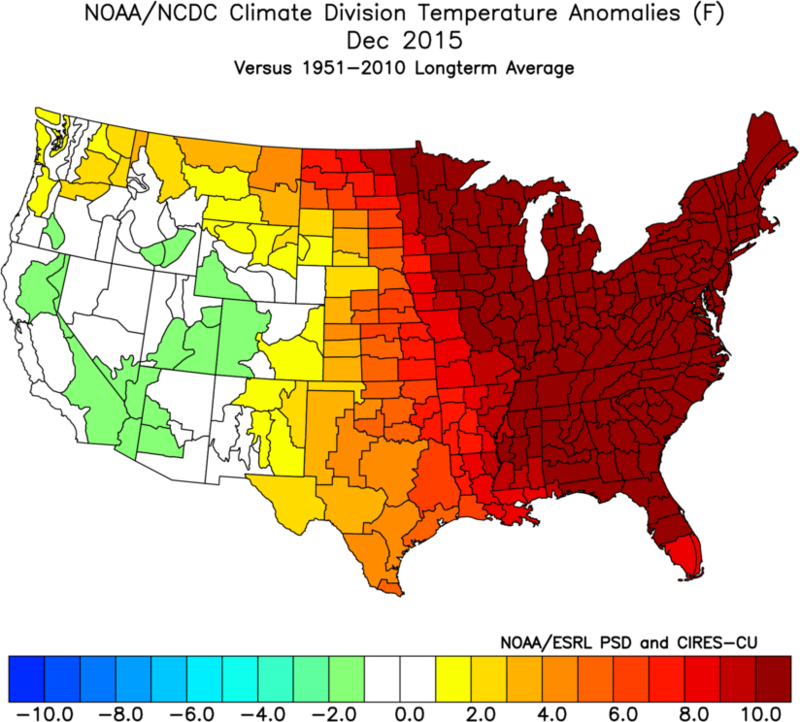 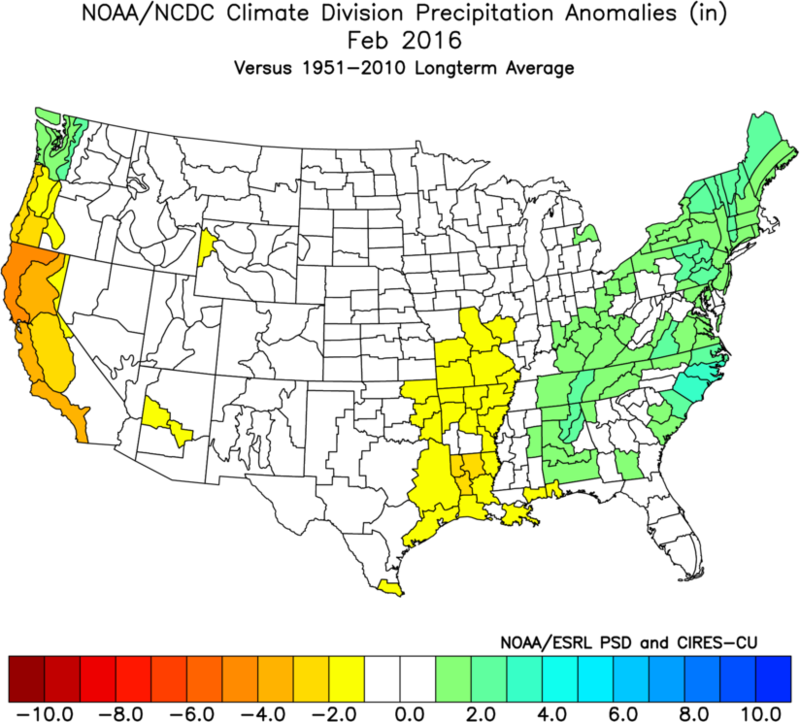 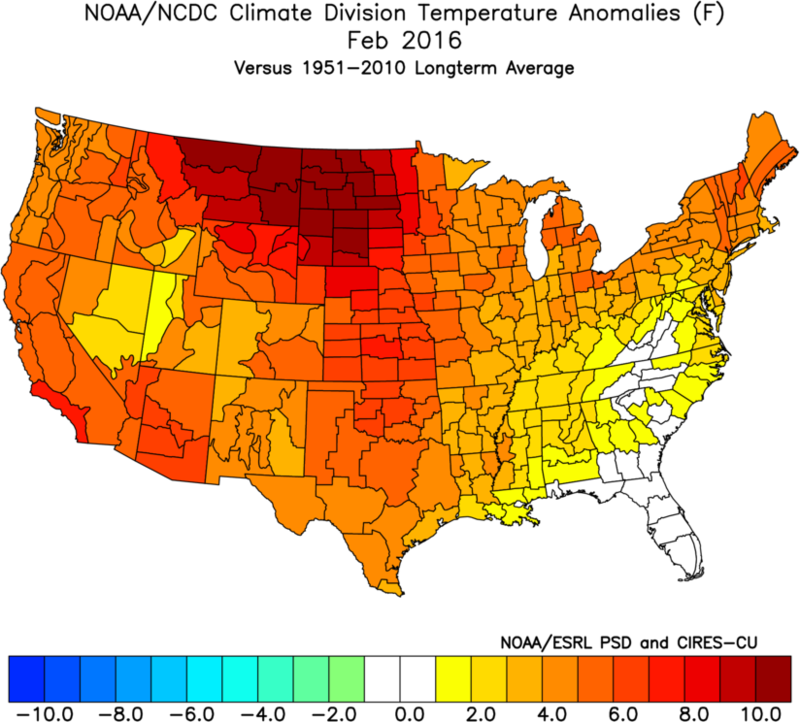 The 30-day and 90-day outlooks were retreived from the NOAA Climate Prediction Center (CPC) archives and the corresponding observed temperature and precipitation data were downloaded from NOAA ESRL Climate Division Data. 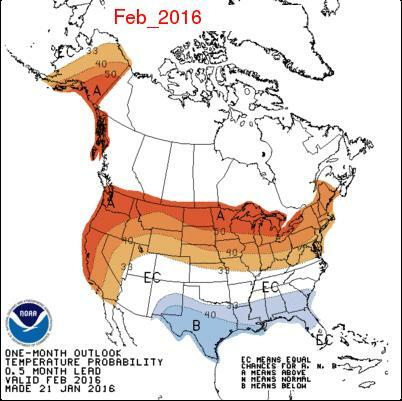 Copyright © 2016, Golden Gate Weather Services.